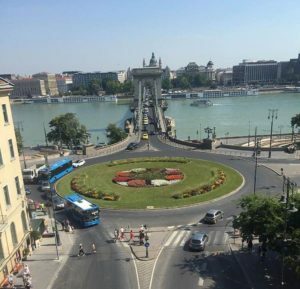 What do you think, why Budapest is the place to be right now? 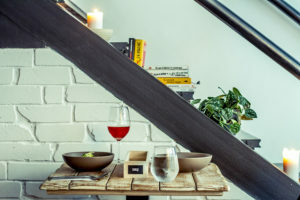 There are a lot things happening right now in Budapest, the culinary and art scene is growing towards interesting directions and there is a new extremely ambitious generation who has put the city on the map. Your favourite place for dating? The top of the tunnel above Clark Ádám tér. The view of Lánc híd is breathtaking! The most inspiring place in Budapest? When I need a break after a busy week, I like to take a nice hike up to the mountains, my personal favourite is Hármashatárhegy. There is nothing more inspiring than taking a deep breath of fresh air and admire the sensational colour palette that nature provides. Good question! I am the biggest foodie and like I said there are some really nice restaurants to explore for gastro freaks like me, but if I have to choose one, Tábla is the place to eat now, they just opened a couple of days ago but I’m already in love. What is the place what would you show first for your foreigner friends? I love to go on spa breaks with my friends so I would probably take them to Szechenyi Bath, my favourite bath in town! Coolest design place in town? There is a really cool cafe/store/gallery called Printa. With their eco-conscious approach, top quality silk printing and creative designs it’s a great place to shop. If you want to have some fresh Hungarian design go to ….. ? Mono Art&Design! 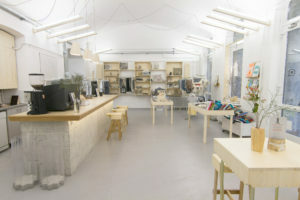 It is a great concept store in Budapest and everything they offer is designed in Hungary. Visit our beloved Nanushka flagship store where you can get a grasp of our universe.